Parents of Jewish American college student fire back after Trump asserted North Korean leader didn't know how their son was treated. The parents of Jewish American college student Otto Warmbier issued a blistering statement Friday, saying that North Korean leader Kim Jong Un and his government "are responsible for unimaginable cruelty and inhumanity". The statement came a day after US President Donald Trump asserted that the North Korean leader had been unaware of the harrowing treatment the student endured while detained there. "We have been respectful during this summit process. Now we must speak out. Kim and his evil regime are responsible for the death of our son Otto," Fred and Cindy Warmbier said in a statement quoted by NBC News. "Kim and his evil regime are responsible for unimaginable cruelty and inhumanity. No excuses or lavish praise can change that," they added. 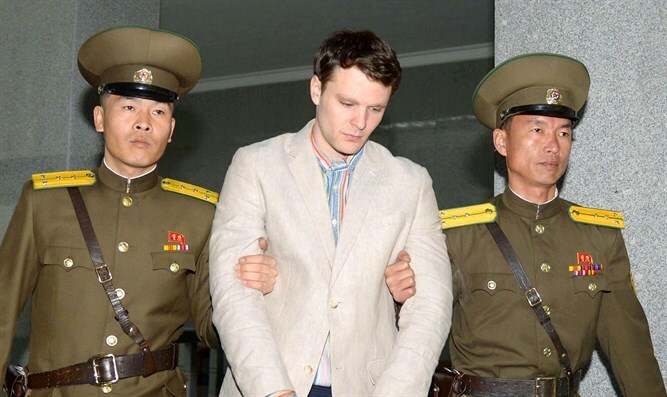 Warmbier was arrested for taking a propaganda banner from a hotel while on a visit to Pyongyang in January 2016. The University of Virginia student from Ohio was sentenced to 15 years of hard labor, but was released after 17 months in June of 2017. Warmbier, 22, died shortly after he returned to the United States. Trump said Thursday that Kim was not responsible for and had no knowledge of the horrific treatment Warmbier suffered while he was detained in that country for 17 months. "Some really bad things happened to Otto — some really, really bad things. But he tells me that he didn't know about it, and I will take him at his word," Trump said, referring to Kim. "I really don't think it was in his interest at all," he added at a press conference following the collapse of a nuclear summit in Hanoi. Kim "knew the case very well, but he knew it later," Trump said. Trump's comments on Thursday were a glaring reversal from those he made during his first State of the Union address in 2018, which the Warmbiers attended. "After a shameful trial, the dictatorship sentenced Otto to 15 years of hard labor before returning him to America last June, horribly injured and on the verge of death," Trump said at the time.